I wish you the Best Riches of God. You, who trust in the Lord will be blessed. You know now that the Lord will do what he says. that send out roots to the water. You have nothing to fear when the days get hot. Your leaves are always green. You never worry, even in a year that has no rain. 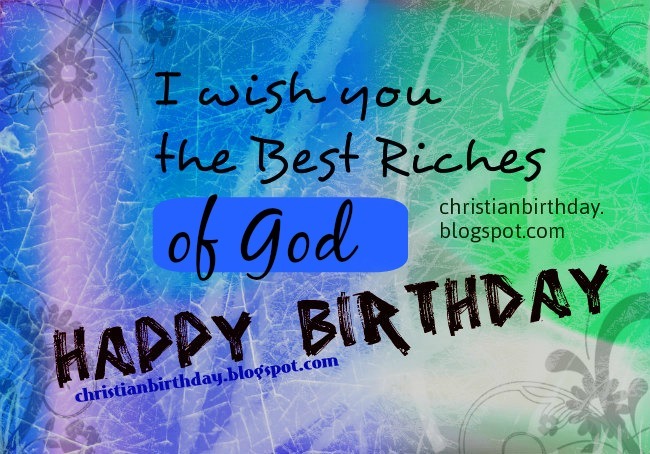 The Best riches of God on your Birthday. Free christian quotes, Bible verses, blessings promises from Bible for a friend on birthday, free images with quotes. Scriptures cards for special bday celebration.